Knitting toys can be one of the most satisfying things to do for those who love the pastime – and it is just one of the many varied reasons to get started. While knitting scarves and jumpers may be the first place your mind goes when trying to come up with a new project, this only represents a relatively small part of the many possibilities offered by knitting. We can all agree that what the varied possibilities of knitting do have in common is that they offer the unrivalled pleasure of being able to give something as a gift to a friend, family member or loved one that you have carefully crafted all by yourself. Indeed, as the result is unique, it can be a lot more exciting than a bought gift that comes from a shop – anyone can pick something like this up! But knitting toys is different – we usually associate it strictly with childhood. There are plenty of good reasons for this – no matter how many toys you had as a little one, nearly everybody has early memories of their first soft toy. However, they do not necessarily have to be restricted to children’s items – and the enduring popularity of the Hello Kitty franchise stands as a testament to this trend. While the characters – led by the iconic female white Japanese bobtail cat with a red bow known as Kitty White or Kitty-chan – were initially aimed at pre-adolescent girls, they have built a much larger following over the years. They now feature on items targeted directly at adults – and can show up on everything from stationery supplies to fashion accessories and high-end consumer products. 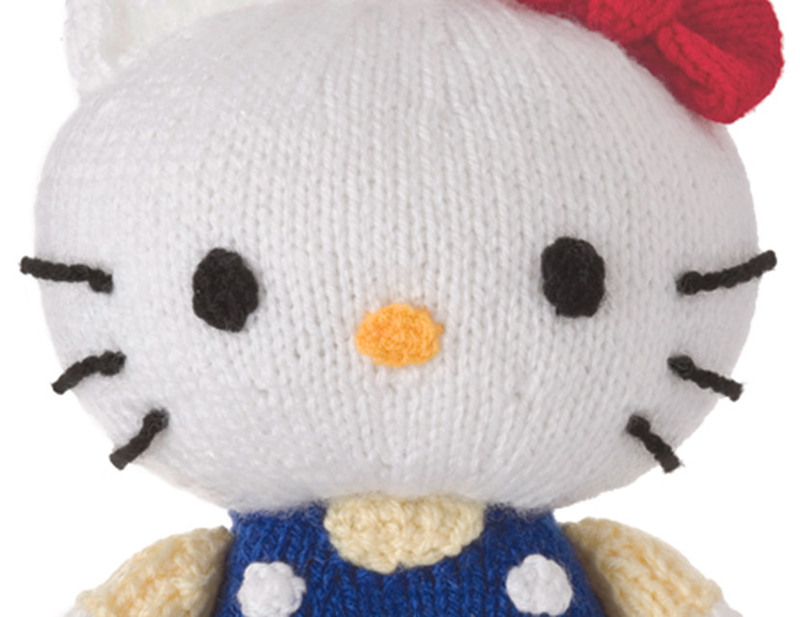 So if you were to knit a Hello Kitty toy of your own, it could be the ideal gift for a fan of all things kitsch and cute – no matter what their age is. The pattern design from Woman’s Weekly online shop stands at just 18 cm tall and makes use of stocking-stitch with embroidered facial features. This pattern was available for a limited time and is no longer available.